Lunges are the form of exercise that can help in achieving the goal of having properly shaped lower body, making the hip more flexible, developing strength and building the strong muscle tissues. 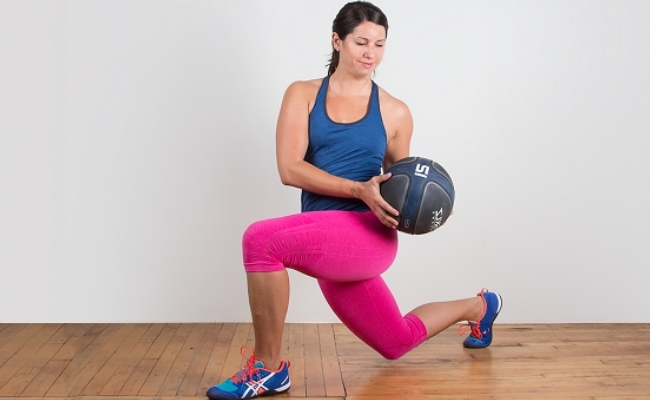 The lunges can be modified according to the kind of fitness you need. It can be performed under several levels varying from simple lunges to the advanced level. The sure effect is 100% guaranteed; no matter which level lunges you are applying in your daily exercise routine. Now we come to benefits of walking Lunges. Walking lunges are said to be more powerful compared to stationary or reverse lunges, as it has more impact on the thighs and leg muscles. Apart, from toning the thighs and leg muscles it has other benefits as well which are discussed below. Any workout that involves lunges works on both side of the body. Basically, it becomes a unilateral exercise that work on the upper as well as on the lower body part of the body. Walking lunges improves the coordination and balance of the body. Some exercises such as dead lifts and squats can never deliver such effect that a walking lunges can provide. Walking lunges helps the person in acquiring the better posture and also helps to body in such a way that its functions improve in many ways. The best benefit of walking lunges is that it also toned the ignored parts of the body which helps in providing the symmetrical toning. The body parts which are overlooked by other workouts are being taken cared by walking lunges. Due to sedentary lifestyle the hip flexor muscles becomes tight. Walking lunges helps in boosting the flexibility of these muscles and also helps in toning the hips. During performing some regular workouts our gluteal muscles are the most ignored and unutilized. By performing walking lunges we can concentrate on its mobilization and activation on the regular basis. Most of the workout generally gives strain to our spine but walking lunges provide flexibility as well as help in recovering the spine from the strain. If you are involve in a weight training or heavy workout, then performing walking lunges can be the best way to provide rest to your spine.